Twenty-four boys with attention deficit-hyperactivity disorder (ADHD) participating in an intensive summer treatment program each received b.i.d. placebo and two doses of methylphenidate (MPH, 0.3 mg/kg and 0.6 mg/kg) crossed with two classroom settings: a behavior modification classroom including a token economy system, time out and daily home report card, and a “regular” classroom setting not using these procedures. Dependent variables included classroom observations of on-task and disruptive behavior, academic work completion and accuracy, and daily self-ratings of performance. Both MPH and behavior modification alone significantly improved children's classroom behavior, but only MPH improved children's academic productivity and accuracy. Singly, behavior therapy and 0.3 mg/kg PMH produced roughly equivalent improvements in classroom behavior. Further, the combination of behavior therapy and 0.3 mg/kg MPH resulted in maximal behavioral improvements, which were nearly identical to those obtained with 0.6 mg/kg MPH alone. 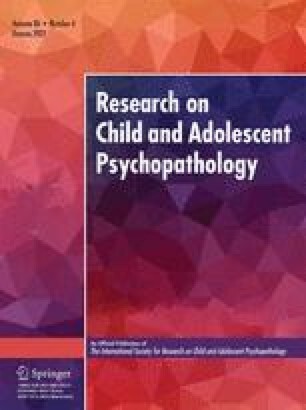 The authors gratefully acknowledge the assistance of Patricia Donovan, Michelle Berry, Mary Ingram, Patricia Wells, Beth Gnagy, Karen Greenslade, Mary Hamilton, and the entire staff of the Western Psychiatric Institute and Clinic ADHD Summer Treatment Program.